We have kickstarted this auspicious day with a Geeta Havan! We would like to invite each and everyone to join us for the Havan! Our morning programme will end at 1pm.. so there’s still time! Thursdays With Ashok – 2018 classes begin! 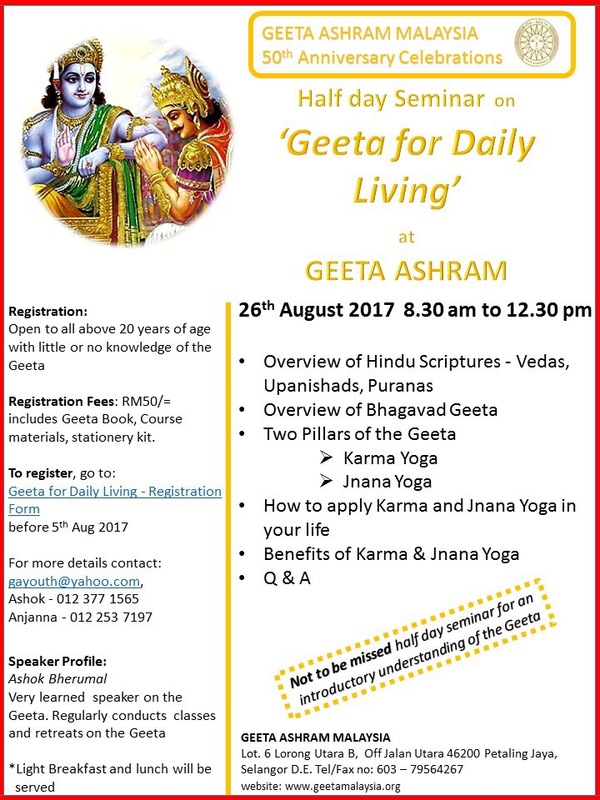 Today we began with the introductory Bhagavad Geeta Class for 2018 at Geeta Ashram Malaysia, and we are truly humbled by the turnout! Here’s to embarking on a beautiful spiritual journey together with Bro Ashok! Looking forward to seeing everyone at the next class! Lesson 56 is now up and running! Chapter 7 has been completed and Chapter 8 begins! Do enjoy! – Lesson available here.